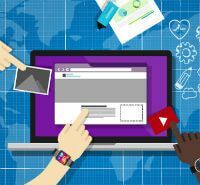 An attractive and efficient website has become a necessary component of any business that seeks to stay competitive and grow in the 21st century. 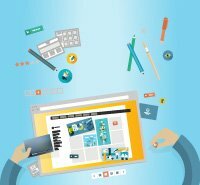 Businesses now have the option of using a do-it-yourself website builder to create a powerful website. 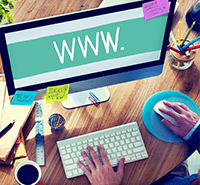 Two of the biggest names in DIY website building are GoDaddy and Weebly. 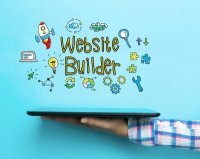 Each of these builders seeks to simplify the website building process, while still offering unique and effective sites for business owners. Where do each of these website builders excel and which one is right for your business? Let’s take a look. One of the most important factors in choosing a do-it-yourself website maker is how easy it is to use. 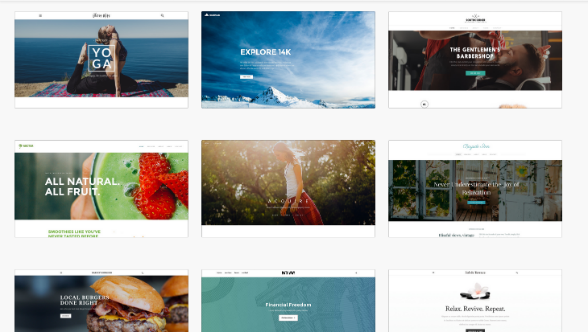 Weebly’s drag-and-drop editor gives users the ability to customize text, add pictures, add sections, change fonts, include videos, maps and a host of other customization options without having to know any coding. There is no need for any computer expertise, but it helps to have at least a little bit of experience using simple computer programs like Photoshop. The variety of functions on the drag-and-drop menu can take some time to get used to. GoDaddy​, on the other hand, is as simple as it gets. 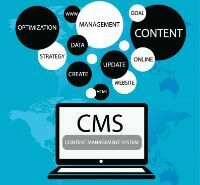 It chooses all of the style elements for you, based on what the subject of your website is, and you have limited customization options. You can adjust the font and color scheme, personalize the text and put pictures in predesignated spaces, however, there are not nearly as many options as you’ll see on the Weebly toolbar. GoDaddy’s website builder is built for someone with absolutely no computer skills. This is evident not only with the website editor, but also with the SEO wizard, that helps you make your site identifiable on search engines with a step-by-step questionnaire. GoDaddy is the winner in the simplicity contest, but there certainly is a tradeoff, as you don’t get the advantage of the advanced customization options that Weebly offers. GoDaddy offers hundreds of responsive templates categorized by business or personal website type. When you sign up for a plan, or get started on a free trial, GoDaddy asks you what your site is about and picks a suitable theme for you. You can change the font and colors, but the customization options are relatively limited, and the various templates only slightly differ, meaning there is not as much choice as the hundreds of templates would seem to suggest. The templates are adequate, but not stunning. They are mobile responsive, and generally look professional and appropriate on mobile screens. However, you do not have the option of customizing specifically for mobile. Any customizing must be done for the desktop and then GoDaddy will automatically fit this to mobile. 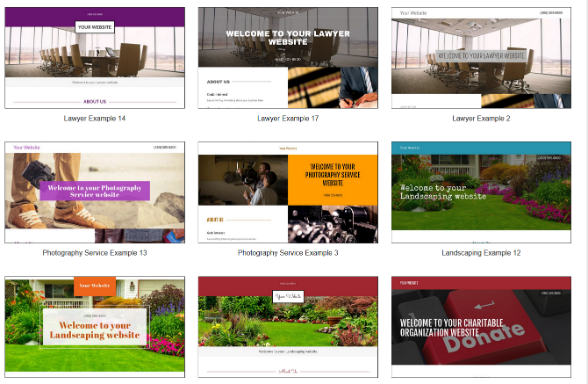 Weebly​ actually has fewer templates than GoDaddy - less than 70 - but they are far more varied than GoDaddy's templates. Weebly's templates have a seamless appearance as compared to GoDaddy, whose templates tend to look like a series of clipped together elements. Weebly also allows for a greater deal of customization than GoDaddy and it’s easier to choose a template from any category - regardless of what the subject matter of your website may be. Weebly's templates are also all mobile responsive, however, as is the case with GoDaddy, you cannot edit separately for your mobile site. You will have to accept Weebly's automatic adjustment for mobile, which, at least, is well done. You can also see a preview of your mobile site with both builders. There really is no question as to who has the more attractive templates and the most customization abilities. Weebly wins the template battle in a landslide, despite GoDaddy's overall larger number of templates. With both Weebly and GoDaddy offering solid products, price may be the factor that sways you most. So, let's take a look at the various pricing plans each of the website builders offers. Weebly has 4 plans to choose from. The Starter plan, for personal use, is $8 per month, followed by the Pro plan for groups and organizations, for $12 per month, the Business plan for small businesses and stores for $25 a month, and the Performance plan for powersellers, which costs $38 per month. GoDaddy's Personal plan is $5.99 per month, while its Business plan is $9.99 per month, followed by its Business Plus plan at $14.99 per month and its Online Store plan for $29.99 per month. You'll note that GoDaddy is a bit cheaper at each tier, and this is in line with what you receive. Weebly costs more, but it gives you more customization options, features and third party integrations. It’s difficult to pick a winner here, because it really depends what your needs are. If you want a simple site and don't require advanced designs or functions, then there is no need to pay the extra money for Weebly. However, if you have aspirations to make a more special site that you intend to grow, then Weebly is the answer. If advanced features is what you’re looking for from a website builder, then Weebly is a better choice for you than GoDaddy. GoDaddy keeps the features to a bare minimum in order to maintain simplicity. It has no third party app integrations, whereas Weebly offers more than 150 integrations. Weebly also offers advanced stats starting from its cheapest tiers, whereas GoDaddy does not offer advanced stats at all. GoDaddy does offer a simple Facebook creation feature with its two most expensive plans, something that Weebly does not offer. As far as marketing features go, Weebly has SEO tools on all of its plans, while GoDaddy’s cheapest plan doesn’t have any SEO features. Weebly offers its Lead Capture function to all pricing tiers, allowing you to get subscribers for your newsletters and email marketing campaigns, but only on its most expensive plan can you use its Weebly Promote email marketing suite. GoDaddy has simple email marketing tools available on its top 2 tiers. 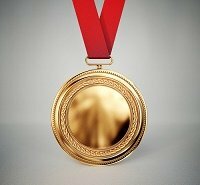 Overall, Weebly takes the prize when it comes to integrations, marketing features and analytics. Weebly allows you to sell up to 10 products on its Starter plan, 25 products on its Pro plan and unlimited products on its two top tiered plans. In the two lower tier plans you can accept payments as well, but you will be charged an extra 3% transaction fee. On the two most expensive plans you can sell digital goods, and you have advanced Ecommerce features, such as inventory management, a shipping and tax calculator, coupons and the ability to ensure payment security with an SSL certificate. The Performance plan, for powersellers, includes real time shipping rates, automatic emails targeting customers who abandoned shopping carts and gift cards. GoDaddy already includes an SSL certificate at its second tier Business plan, as well as PayPal integration and donation capabilities. However, a built-in shopping cart, the ability to accept credit cards, and to configure products, is only included on its most expensive Online Store plan. This top tiered plan also includes automatic abandoned cart recovery and text notifications for new orders. ​Weebly gets the edge here as the website builder that is more scalable for growing online stores. You can start small at the cheapest plan with basic selling abilities and expand upward. Weebly offers live chat support from 9am to 9pm EST from Monday to Friday and 11am to 8pm on the weekend. You can also opt to fill out a support ticket explaining your problem and a member of Weebly's team will get back to you. Telephone support is only available for those who have upgraded to a Pro plan or higher. Weebly also features a help center with articles and webinars on various aspects of using the website builder, as well as a community forum where Weebly users share questions and information. GoDaddy's customer service stands out with 24/7 telephone support available for all of its pricing plans. It also features a chat option, although it’s not available 24/7. GoDaddy has helpful articles and videos with step-by-step instructions on how to carry out various website functions, along with a community forum for users. With 24/7 phone support and its wide selection of help videos, GoDaddy edges out Weebly for best customer support. 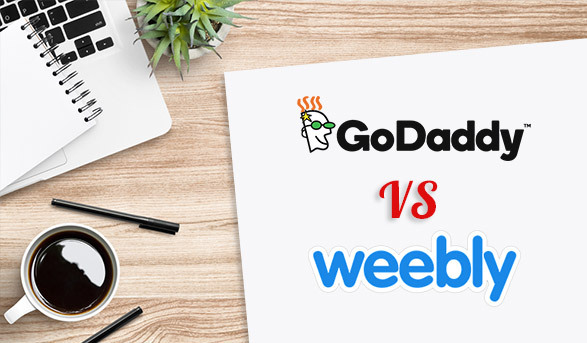 When choosing between Weebly and GoDaddy there’s not a clear cut winner for all users. For those who want a simple site that’s slightly cheaper, GoDaddy is the answer. It’s easy to create a site, the customer support is there to walk you through it, and you won’t have to customize the site or spend too much time on it. However, for those who want a more attractive site, that costs slightly more, but allows greater customization and functionality, Weebly is the ideal choice. With either GoDaddy or Weebly, you can sign up and have your site running in no time at all. In fact, Weebly has a limited free plan, and GoDaddy has a one month free trial, so there really is nothing to lose. For more information on Weebly, GoDaddy and all of the other leading website builders, check out our expert reviews.